Bring a blanket or lawn chair to sit on, picnic or tacos to munch on, and something to drink. 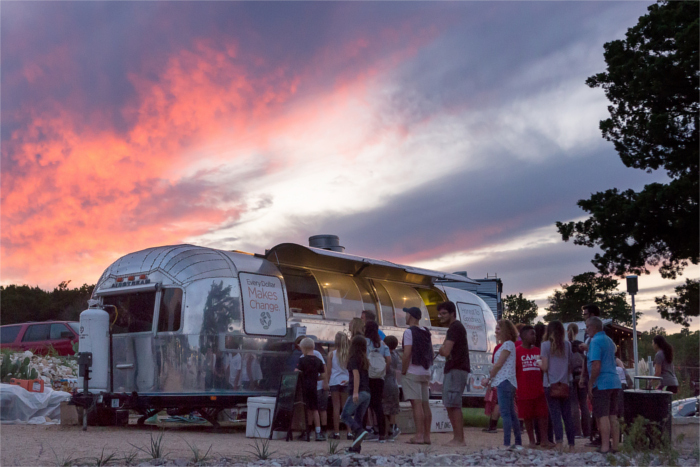 Wherever Austinites go, food trucks follow, so food trucks will usually be an option at these movies. Remember, though, that alcohol is never allowed at these screenings, nor are glass bottles or Styrofoam containers. And while friendly dogs on leashes are allowed at some of these events, due to the booming speakers and crowds, it is unwise to bring them. 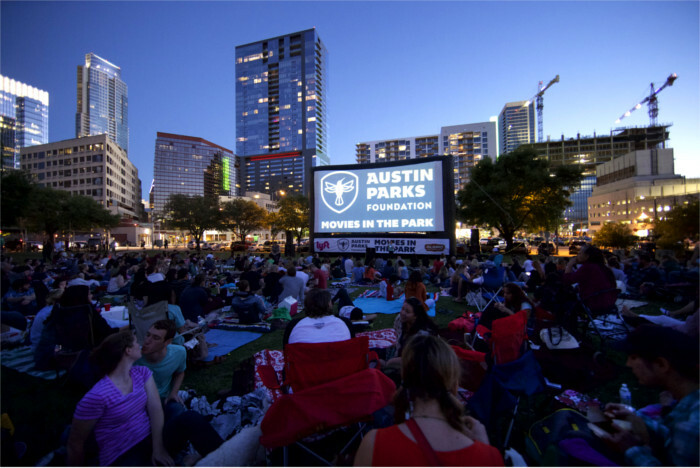 Beloved nonprofit Austin Parks Foundation works to improve the lives of Austinites by picking up where city resources leave off, presenting its annual Movies in the Park series throughout spring and summer at parks across Austin. For this year’s series, the foundation is partnering with Alamo Drafthouse and Whole Foods Market. 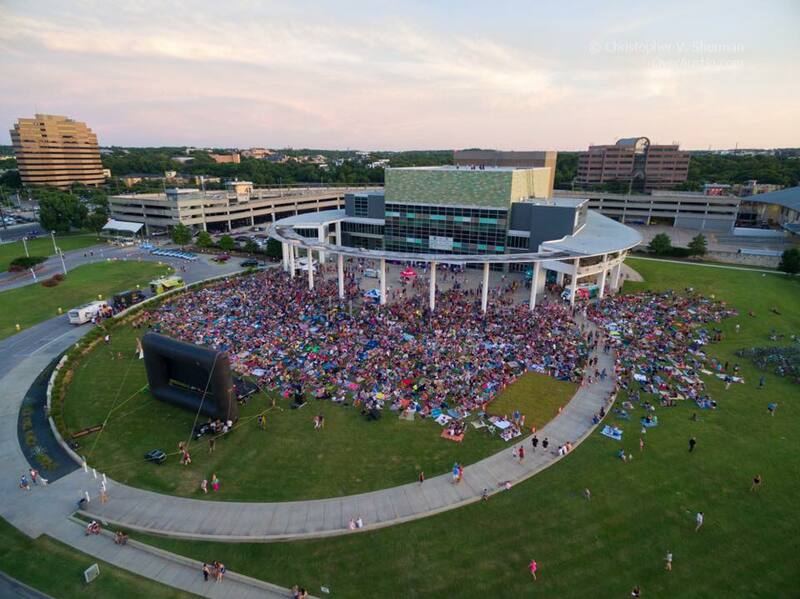 The 2018 Austin Parks Foundation Movies in the Park events all have a musical component, so plan on singing along to your favorites. Expect food trucks, too! See the schedule below and plan a night out soon. 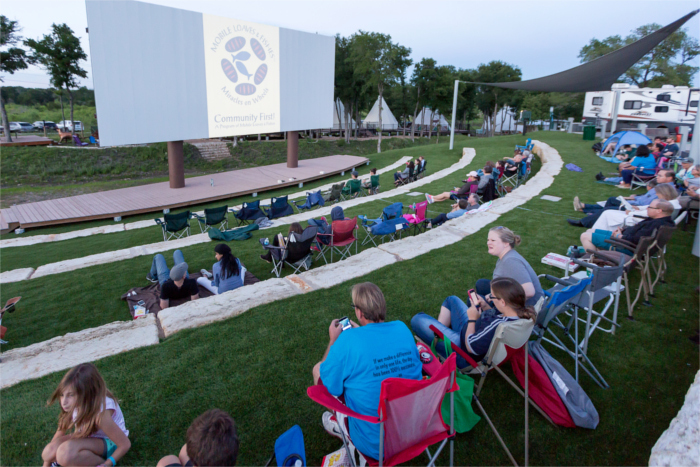 Community Cinema & Ampitheater is located at a haven for Austin’s formerly homeless population, Community First! Village. This cinema, with donated equipment from community partner and sponsor, Alamo Drafthouse, has begun its second season. 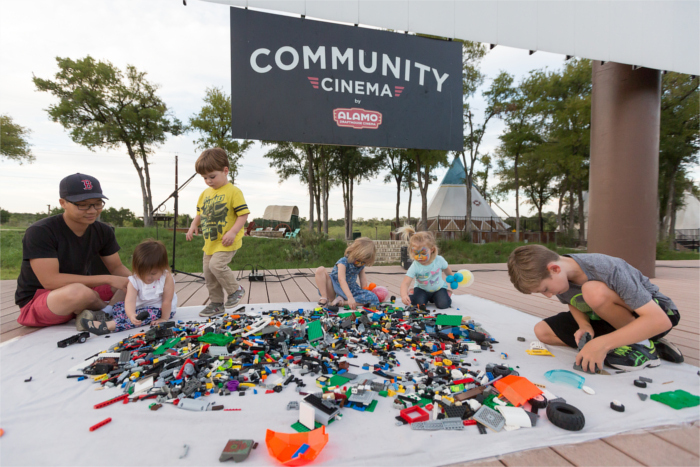 Community Cinema & Ampitheater offers a strong lineup of recent blockbuster movies. The vibe is playful, as befitting an Alamo Drafthouse event, with themed fun included at every showing. Here is the schedule for movies throughout April 2018. All scheduled events are regularly updated and listed on Community Cinema’s Facebook page. Sound and Cinema is partly exactly how it sounds and partly way cooler. Alamo Drafthouse (coming through for our community yet again) and Do512 team up every summer to present a fun series of movies with mini-concerts opening each event. The planning team is excellent at pairing films with local bands. For example, a few summers ago, we saw “Raiders of the Lost Ark” opened by The Golden Dawn Arkestra. How whimsical, no? It’s quite serene to chill out in the shadow of The Long Center’s dramatic columns, gazing at Austin’s downtown skyline beyond the big screen. Get the 2018 schedule here. Pro tip: This is one of the most heavily-attended events in this article, so go early and consider ride sharing, carpooling, biking, or taking public transportation. Texas summer kicks in, and all we want in life is to be in water and shade, a respite from the sun’s relentlessness, a way to cool off. 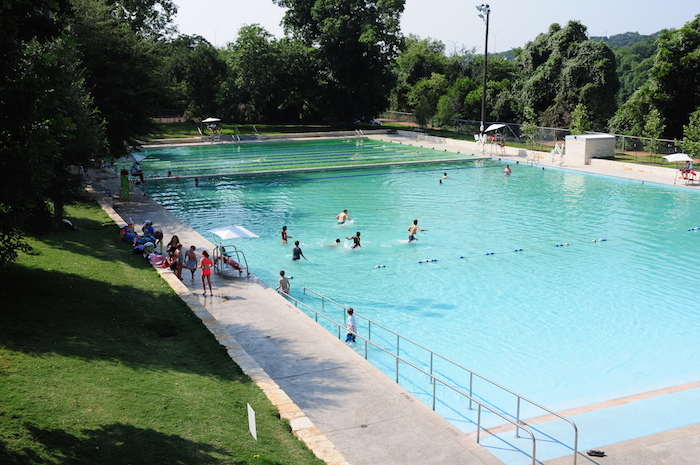 Deep Eddy Pool, one of Austin’s most delightful treasures, hosts movies in the pool, called a Splash Party, on a few dates each summer. The normal Deep Eddy entry fee still applies, but the movies are technically free. The Deep Eddy movie roster is kid-friendly, so this is a family affair by all means. Deep Eddy will release its summer schedule soon. Check the website for details. The 101x team will release the schedule soon. Follow the Austin radio station on Facebook or keep checking the link below. These outdoor movie events in Austin make for stellar date nights, family outings, or group hangs. Plan ahead with sunscreen and water to hydrate, plus something to sit on. Early arrivals get the choicest seats. While I’ve covered the bigger series here, check your local Parks and Rec calendars. When school gets out, events tend to pop up in several neighborhoods around town. Happy viewing! 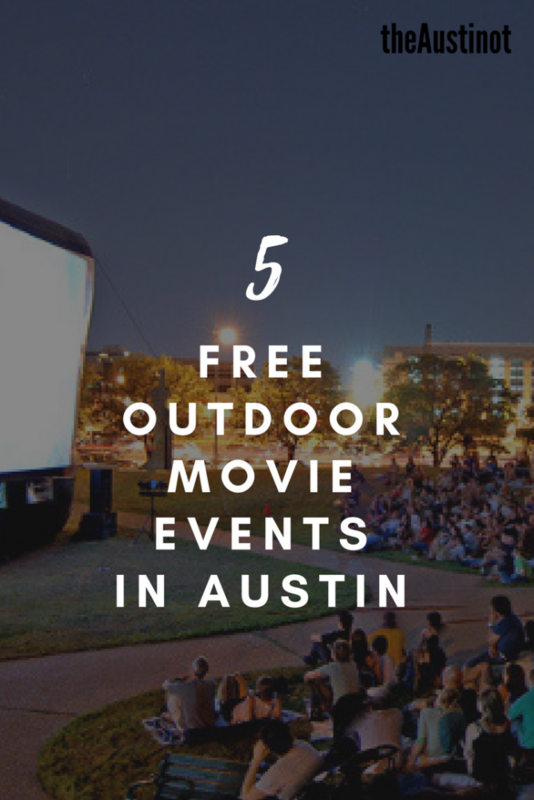 What are your favorite outdoor movie events in Austin?